Do you like the idea of moving out from your current place of residence as soon as possible? Are you impatient to pack all your stuff and carry it to the new place where you will feel more comfortable, the monthly rent is less expensive or it is closer to your office so you don’t have to wake up so early, wait in a traffic jam or catch three different buses to get to work on time. However, there is on must – do activity you have to perform before leaving your old housing – namely a thorough moving out cleaning procedure. Every tenant knows that failing in meeting landlord’s requirements of cleanliness may result in losing their security deposit but if you book with us, we assure you that there will be nothing to worry about. 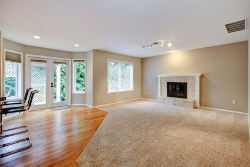 What we offer is our professional assistance when it comes to performing an excellent move out cleaning. We take pride in being a company that has never tolerated a poor performance. Our cleaning technicians will arrive to your premises on time, equipped with all the cleaning supplies they will need for achieving outstanding results and helping you get your security deposit back. Every nook and corner will be paid attention to – the kitchen drawers and cabinets will be cleaner inside and out, the windows, floors, bathroom tiles, walls, appliances will also be paid a considerable attention to. And the best of all is that if you or your landlord is not happy with the service, Best London Cleaners will come back and repeat the procedure. 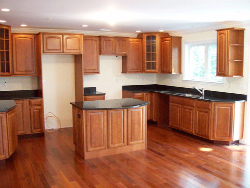 In other words, arranging us for your move out cleaning guarantees that you will get your money worth. Don’t miss the chance to get the things done and move into your new place sooner than you have expected. Your emergency is our emergency so we are prepared to provide you with the cleaning service at any day and time you want without charging you a fortune. Our friendly call centre supporters are available round the clock and prepared to answer all your questions.